House MD Episode Guide: Season Two #206 "Spin"
Second Season Episodes :: #206 "Spin"
so after reading the ones below, click on the "Search" button above to search for "206". Dr. Cameron (Jennifer Morrison) and Dr. Foreman (Omar Epps) search for the correct diagnosis for a professional cyclist (Kristoffer Polaha) who has been enhancing his performance in the HOUSE episode "Spin" airing Tuesday, Nov. 15 (9:00-10:00 PM ET/PT) on FOX. Jeff Hastert, a professional cyclist, collapsed on the track. He admits to blood doping, sleeping in a hyperbaric chamber, pumping up "electrolytes with an IV drip and herbal supplements, amphetamines, and diuretics." Cuddy pulls him out of an uncomfortable conversation with Stacy asking that he looks at the cyclist. House refuses saying that he will just lie about taking drugs and then they will spend all their time and effort and just prove in the end it was drugs all the time. An air bubble in his lungs (which he did have but which wasn't the problem). Then when he doesn't get better House thinks Chase "screwed up the embolectomy." Later House assumes that someone gave the cyclist EPO. Because of House's assumption Jeff fires his manager. Giving the patient a drug, telling him to get up and walk and not warning him that he will collapse again in a matter of minutes. Thymoma is a tumour in the thymus gland. It "hangs with.... PRCA and an auto-immune disease called myasthenia gravis. MG causes muscle fatigue, including respiratory problems and difficulty swallowing." A flight attendant with diarrhea (which started right after he gave up smoking) who was being poisoned by sugarless gum which uses xylitol as a sweetener and sorbitol is laxative. Wilson may be spending some nights at the hospital instead of going home. He was reading "Baseball Abstract" on his office couch late at night. House breaks into Stacy's therapist's office and reads her file. There is also information on the health issues/diseases mentioned in the episode. House: "Now there were three wasted words." Wilson: "Is there a light somewhere that goes on when I have food?" House: "Green for food, orange for beverages, red for impure thoughts. That bulb burns out every two weeks." Cameron: "It's a bike race. A completely arbitrary set of rules that everyone complies with, for no other reason than that some committee says that they should...."
Foreman: "So if you break an arbitrary rule, Cameron damns you to hell, but if you break a rule that actually has a reason that's designed to protect people, Cameron develops a crazy crush on you." Cameron: "House doesn't pretend to be some golden boy, he does it to help people, not to glorify himself." 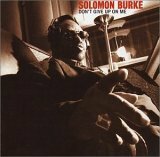 The song at the end was Solomon Burke's "None Of Us Are Free" (Mann & Weil / Russell) which is available on his "Don't Give Up on Me" album. Cameron [complaining that House has ordered them to scan the patient's neck, although no symptom involves the neck]: "After this we'll scan some totally random body parts." Chase: "Fifty bucks says we find something." Chase: "Don't have a clue. We on?" Cameron [responding to an unspoken question from Chase]: "No. We'll find something." Later Chase tells House:"We found a thymoma." Foreman: "How'd you know to look in his neck? Thymoma's usually present in the chest." House:"I knew it wasn't in his chest. All we've done since he checked in is look at his chest." House [gives patient an injection and then says]: "You are healed! Rise and walk." The patient: "Are you insane?" House: "In The Bible, you just say 'Yes Lord' and then, start right in on the praising." The patient: "First you tell me I've got cancer, and then you tell me that my manager&8212; [starting to feel miraculously better] What did you do?" The patient: It can hit you that fast?" House: "Treatment for PRCA is blood transfusions, treatment for MG is hypobaria. You were doing both as part of your regular freak show. When you took a break everything went to hell, which is not an uncommon reaction in Jersey." The patient: "So, the whole thing with my manager?" House: "Ooops. No, no EPO. This has nothing to do with anything you did. You can let her know she's in the clear." The patient: "Good. Or, 10 percent of a Nike contract is a hell of a lot of cash." House:: "You don't need your thymus. Take it out, everything else is manageable." The patient: "Manageable? I thought you just cured me." House: "Ah, this is just diagnostic. Tensilon erases the symptoms of MG for five or six minutes. [suddenly the patient collapses] Sometimes less. This is exactly why I created nurses. [Calling out as he leaves the room] Clean up on aisle three!" Cameron [complaining about their patient the cyclist]: "He got away with it." Wilson: "Uhmmmmm, he cheated and won a game. Life's more complicated than who gets to the finish line first." Cameron [referring back to a previous conversation they had had about cheating]: "I fell in love with my husband's best friend. Near the end I was at the hospital every day. And Joe would come by after work. We'd go for walks and try to talk each other through it. We kind of clung on to each other." Wilson:"My wife wasn't dying, she wasn't even sick. Everything was fine. I met someone who— made me feel— funny. Good. And I didn't want to let that feeling go. What happened to you, how can anyone go through that alone? You can't control your emotions." Cameron: "No. Just your actions." Wilson [looking at her face]:"You didn't do it, did you? You didn't sleep with him?" Cameron:"I couldn't have lived with myself." Wilson [with resignation]: "You'd be surprised what you can live with."